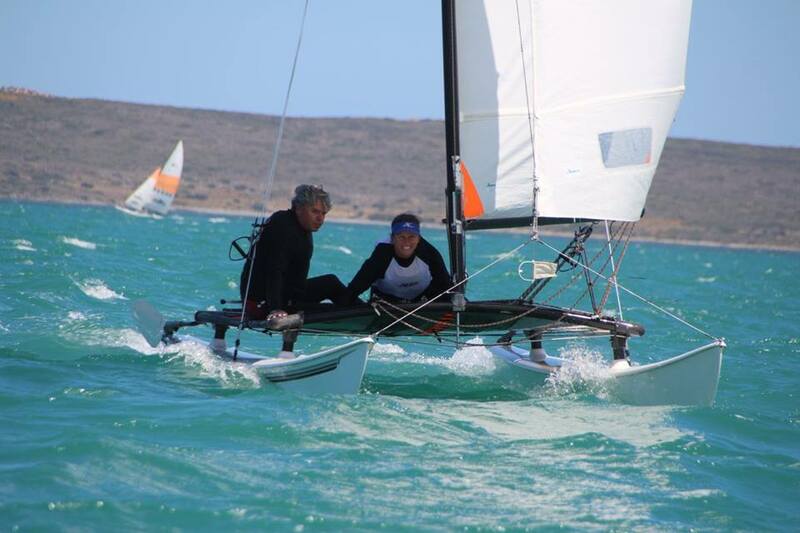 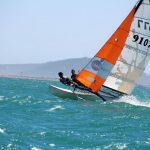 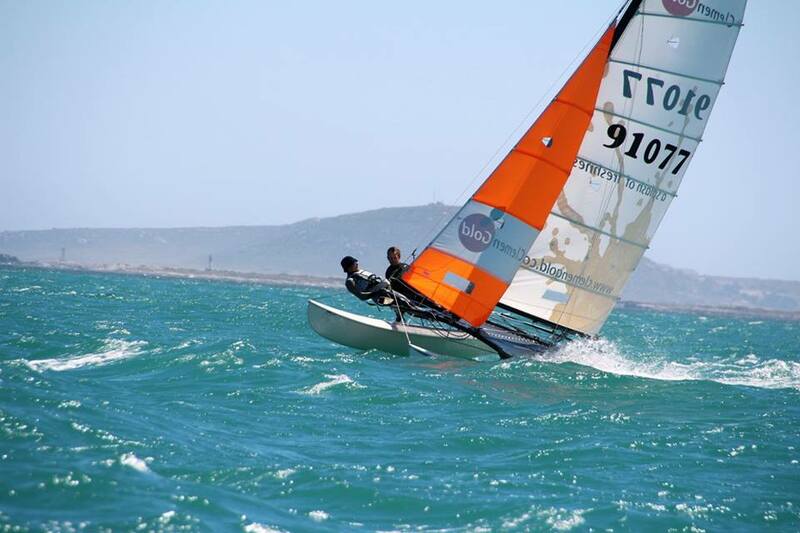 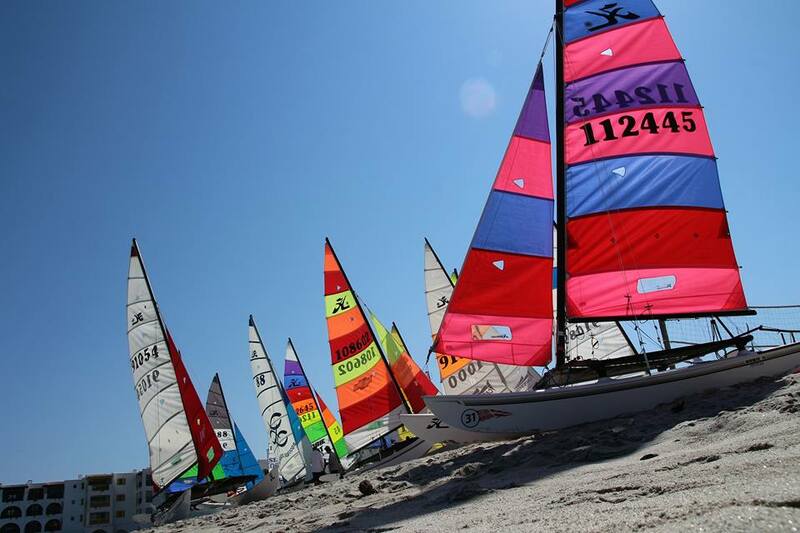 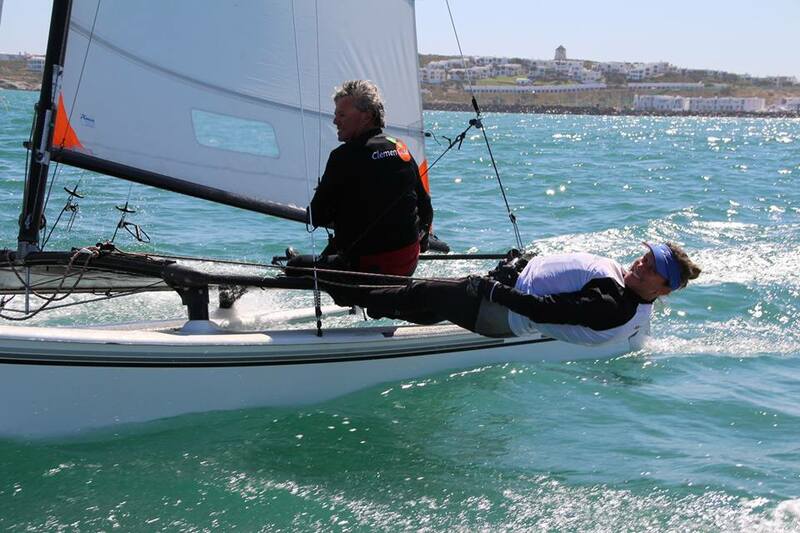 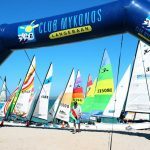 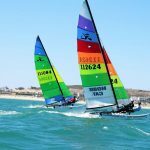 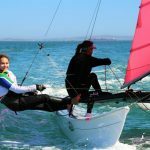 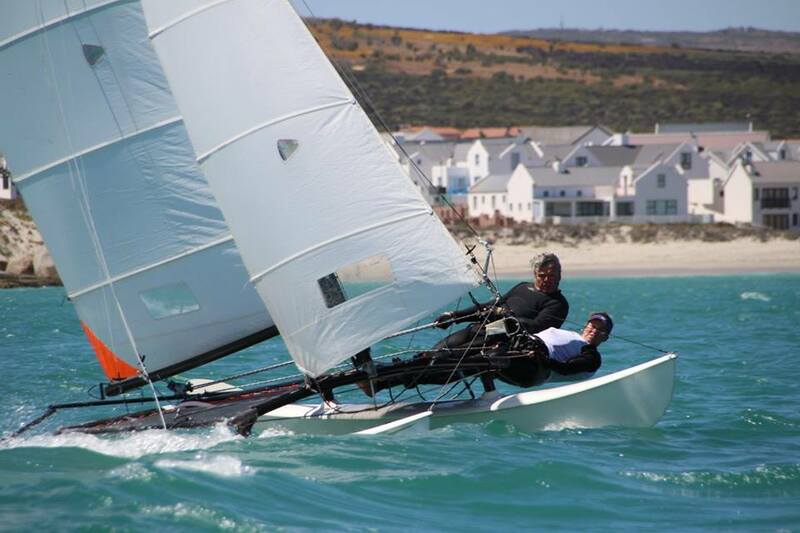 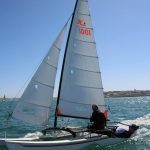 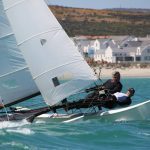 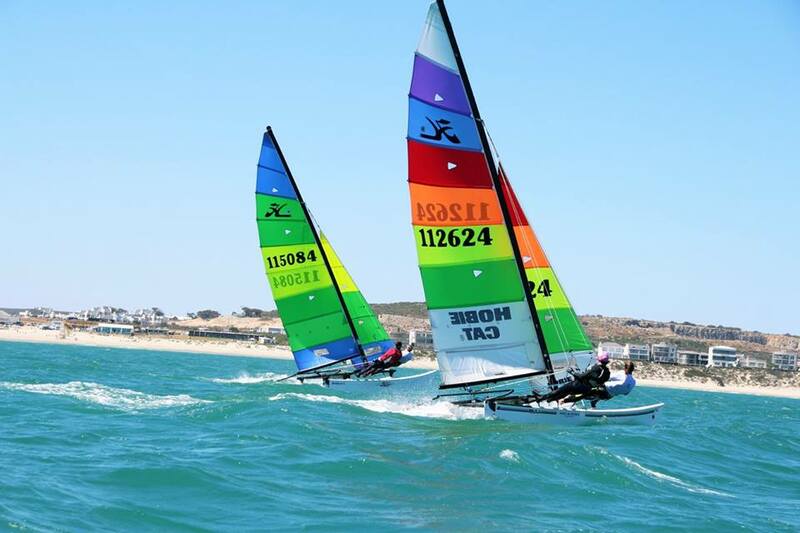 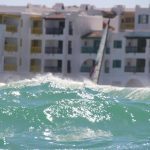 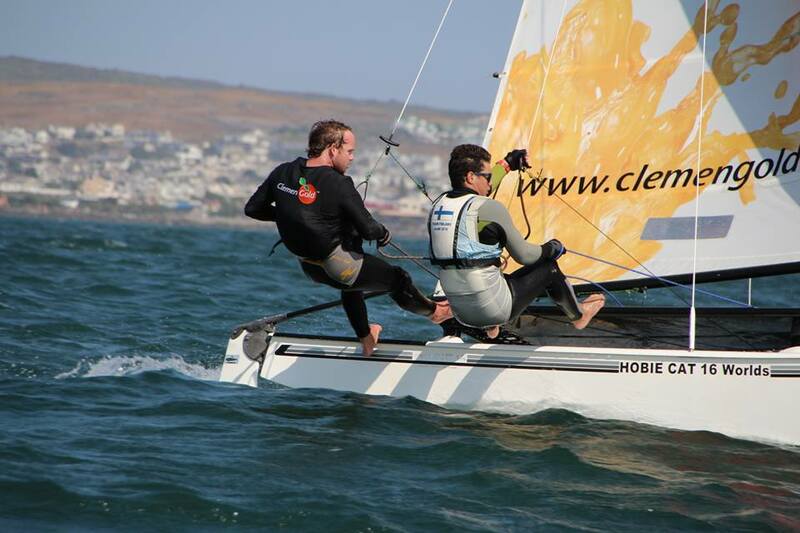 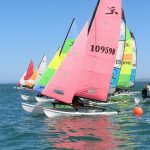 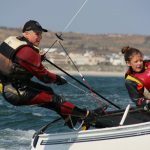 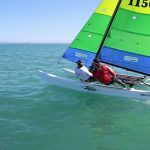 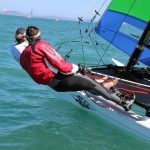 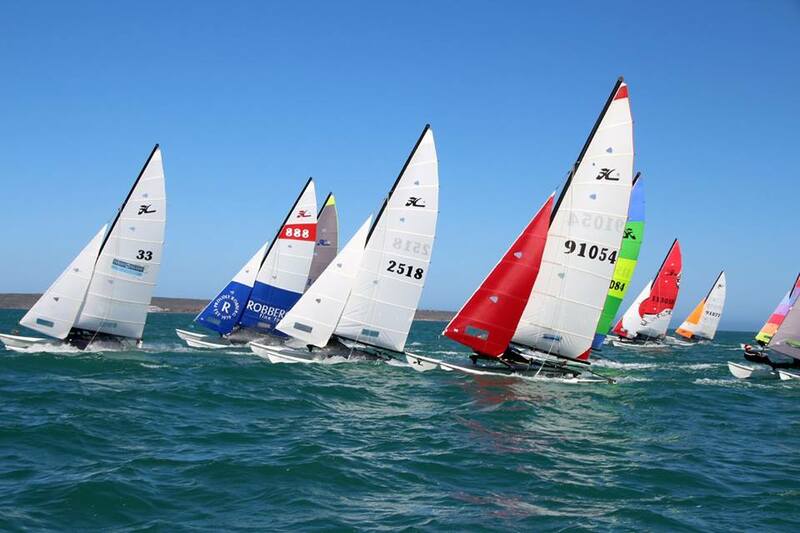 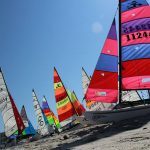 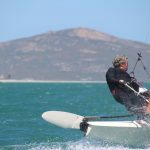 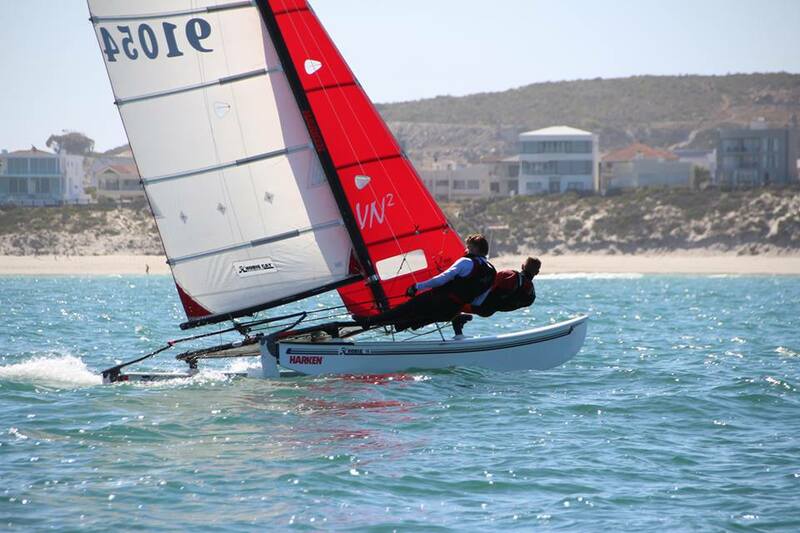 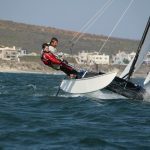 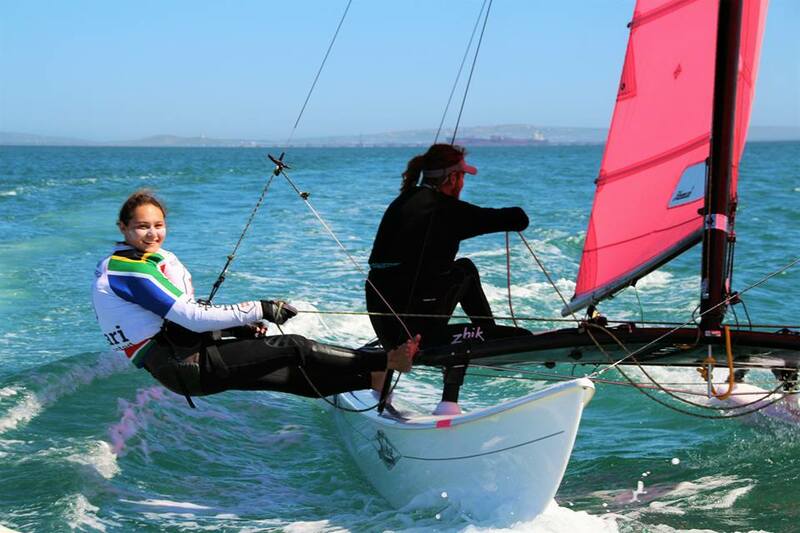 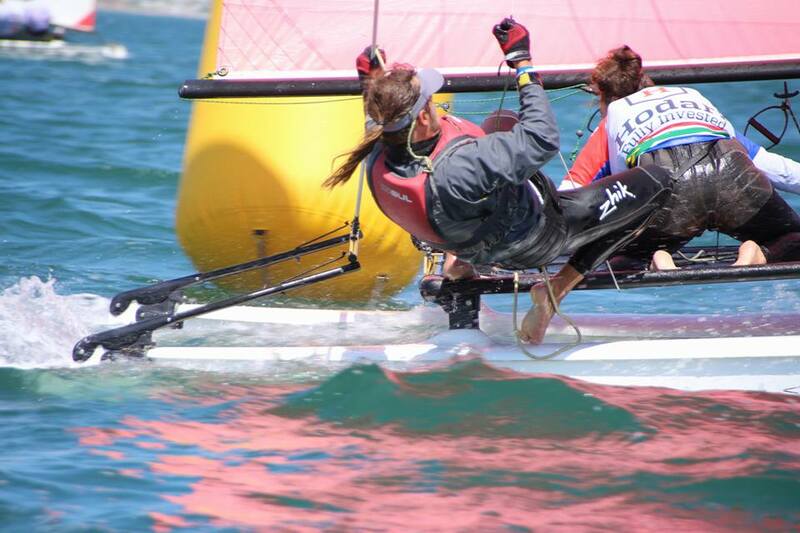 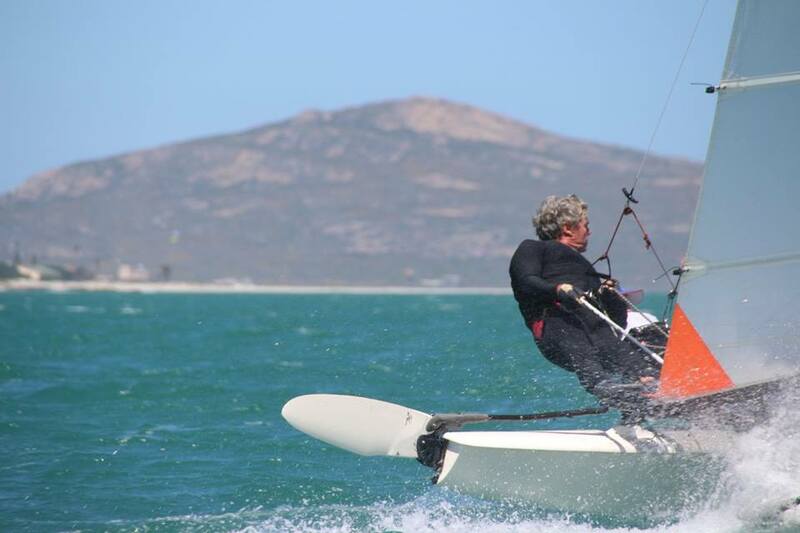 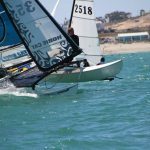 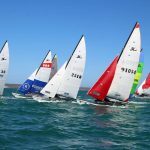 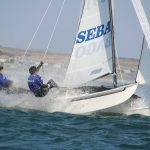 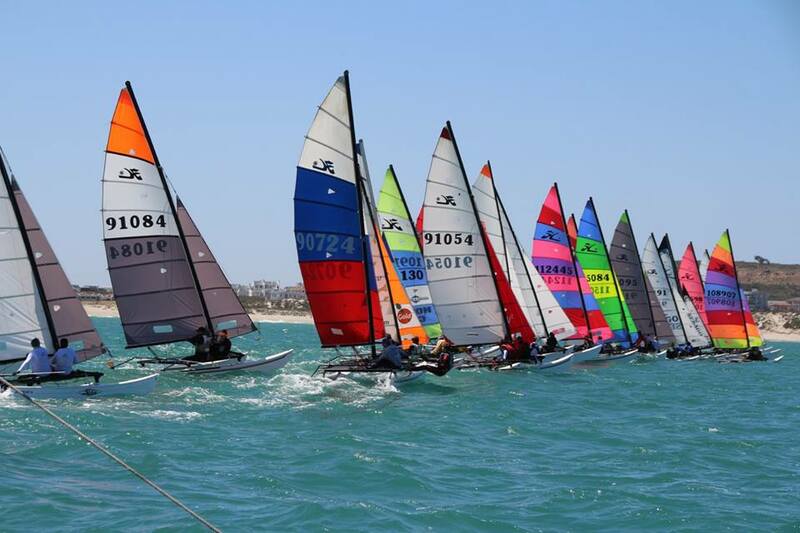 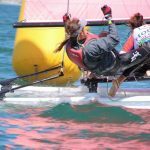 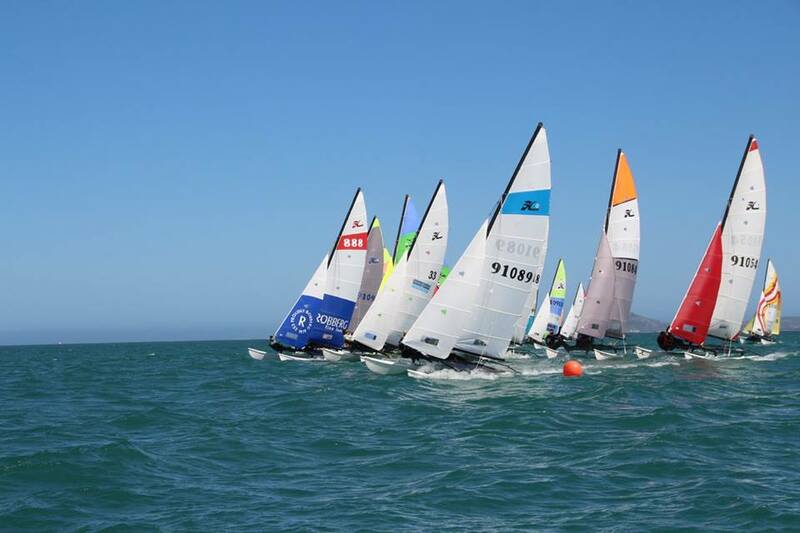 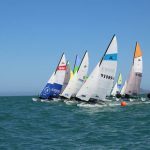 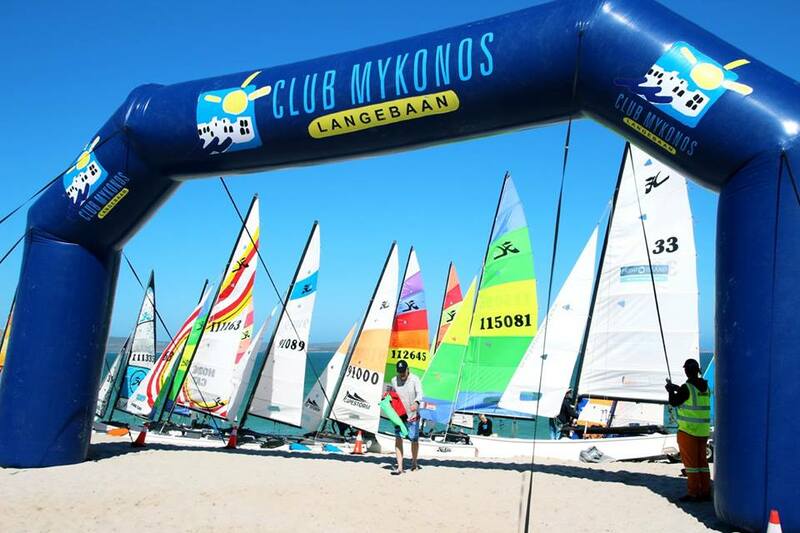 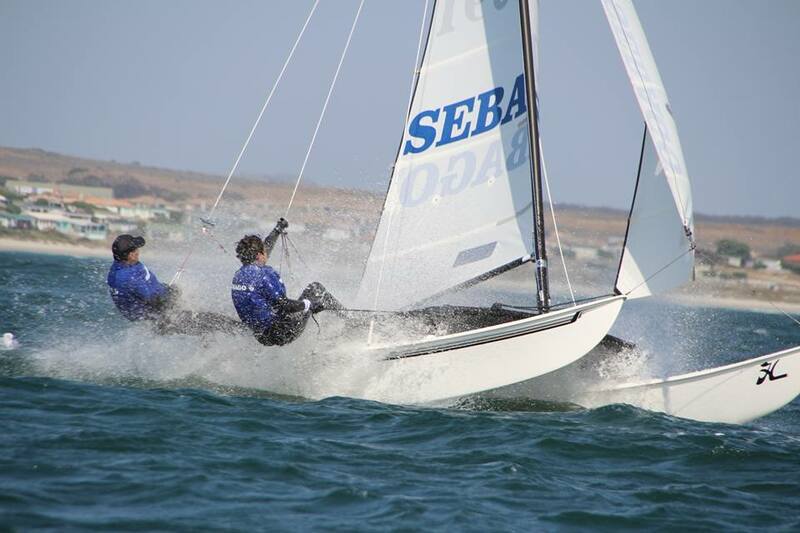 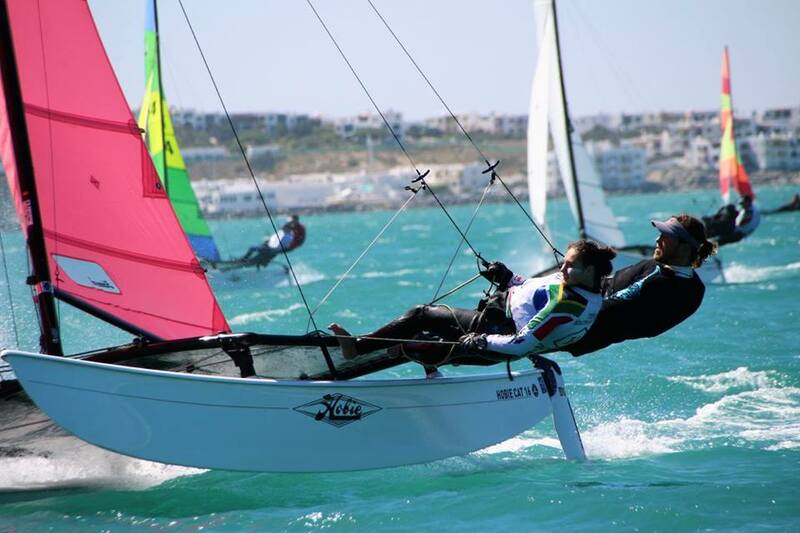 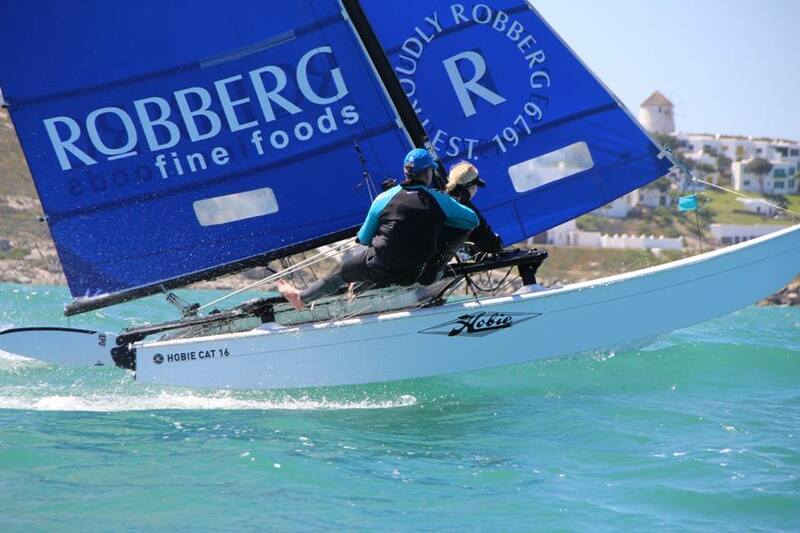 The Hobie 16 South African National Championships 2017 is being held at held at Club Mykonos, Langebaan. 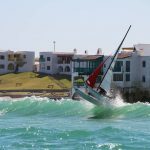 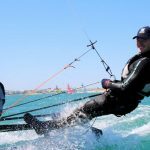 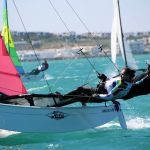 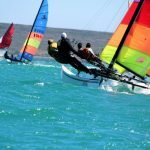 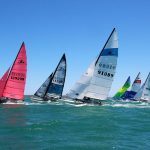 Langebaan is situated 120 km north of Cape Town and has hosted Hobie World Championships as well as many South African Championships. 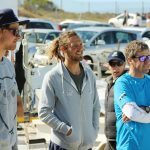 With a tough competition with current Hobie 16 world champion Daniel Bjornholt Christensen and his brother Nicolaj from Denmark. 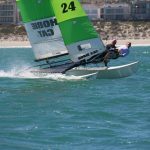 Competing against the current and former Hobie World Champion’s, Blaine Dodds, William Edwards, Shaun Ferry, Matthew Whitehead andDouglas Edwards. 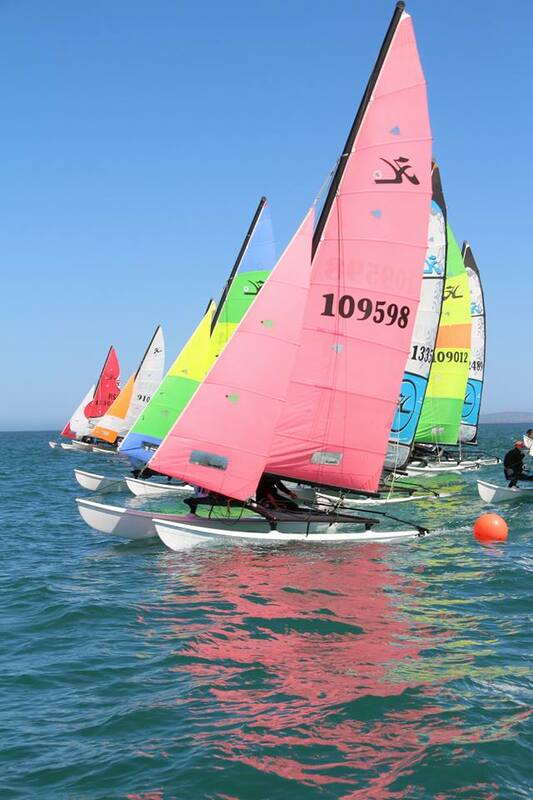 Add some more of the talented local sailors and this is one very competitive fleet. 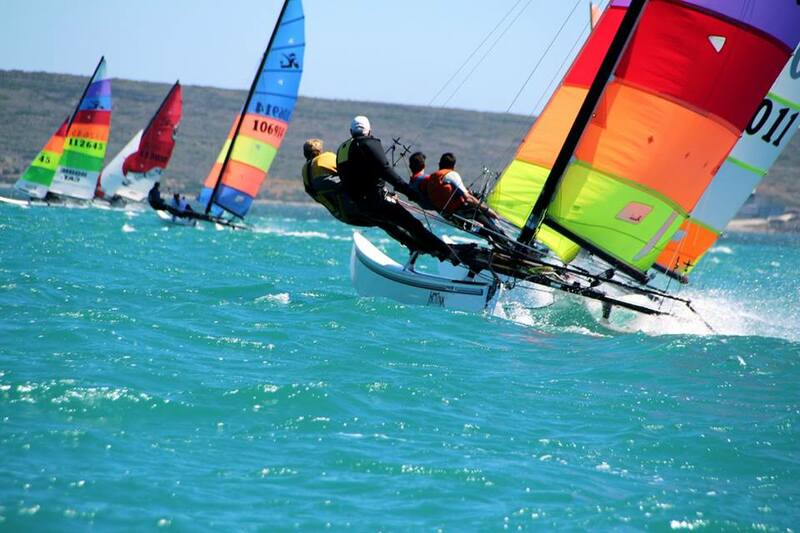 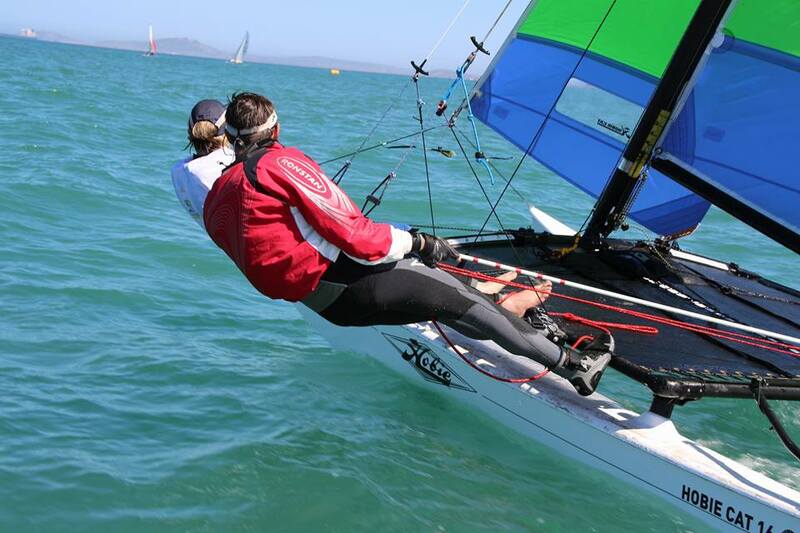 Langebaan turned on the best sailing condition with strong 20+ knots all day and building in the later afternoon. 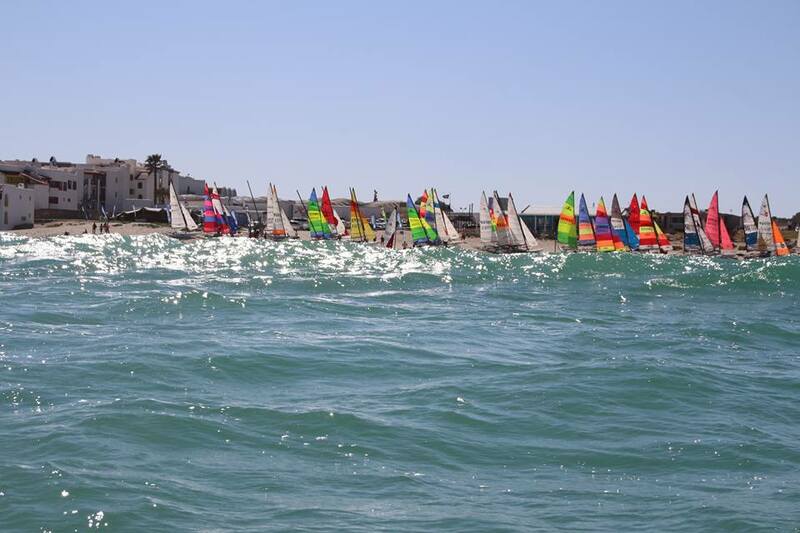 4 races and plenty of aching bodies. 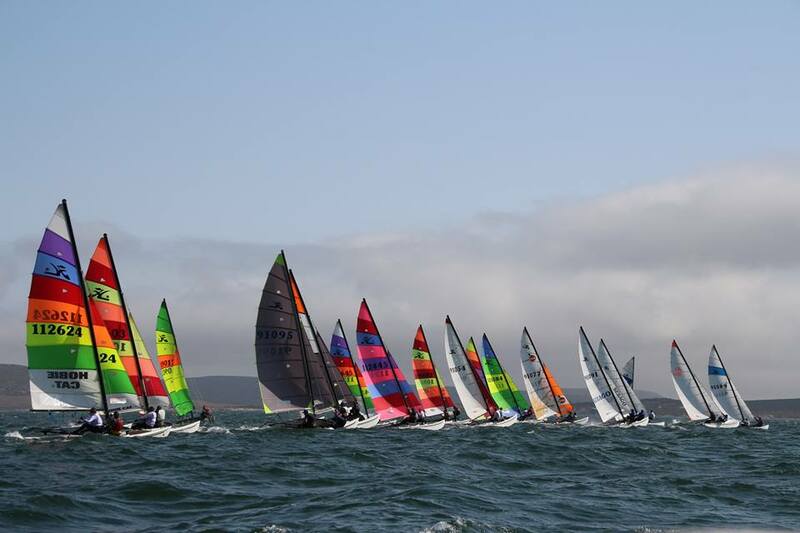 The fleet of 38 boats took to the water through a nice big surf then out to flat water in the bay. 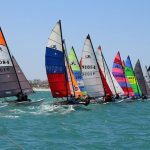 The Race Committee decided not to waste the conditions and did 5 races back-to-back. 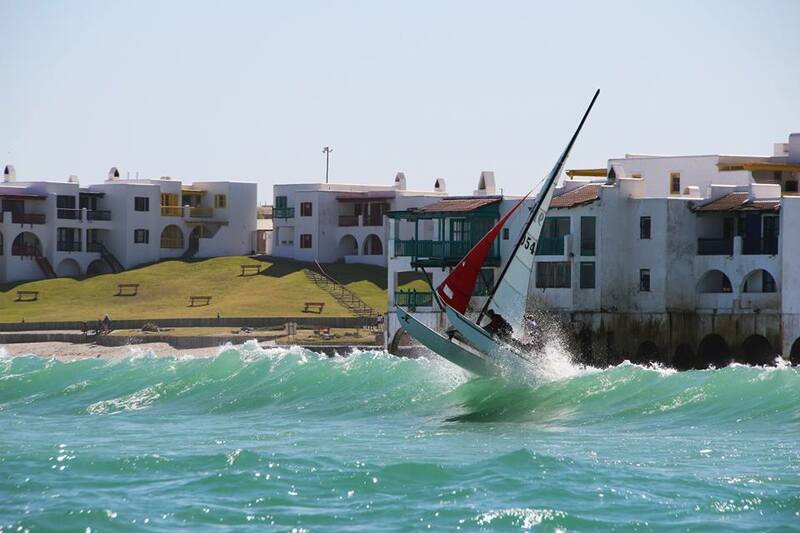 There was a big swell or the sailors to launch their boats from. 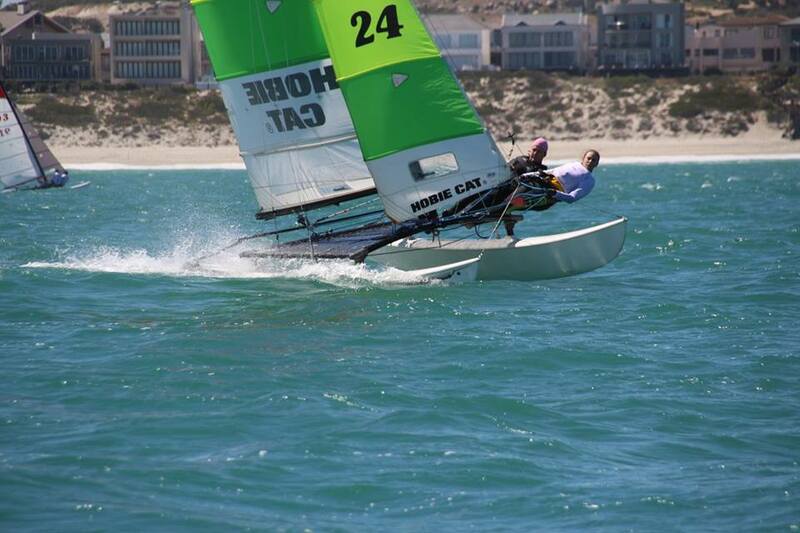 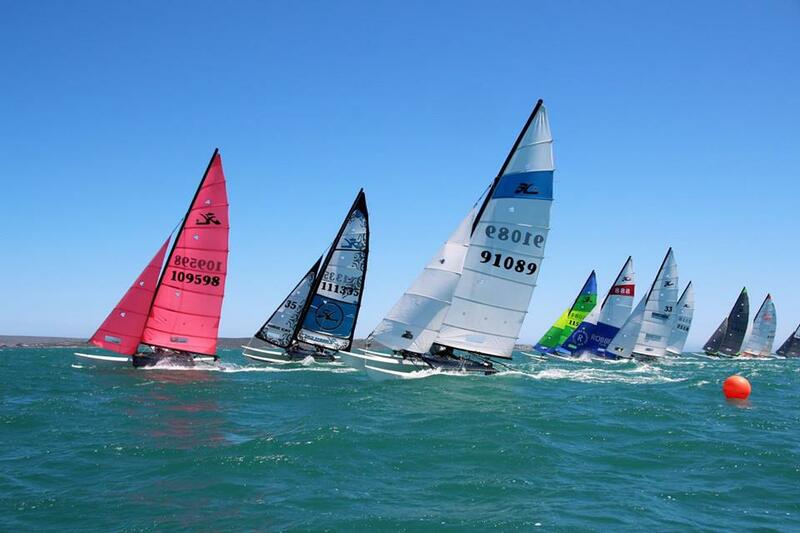 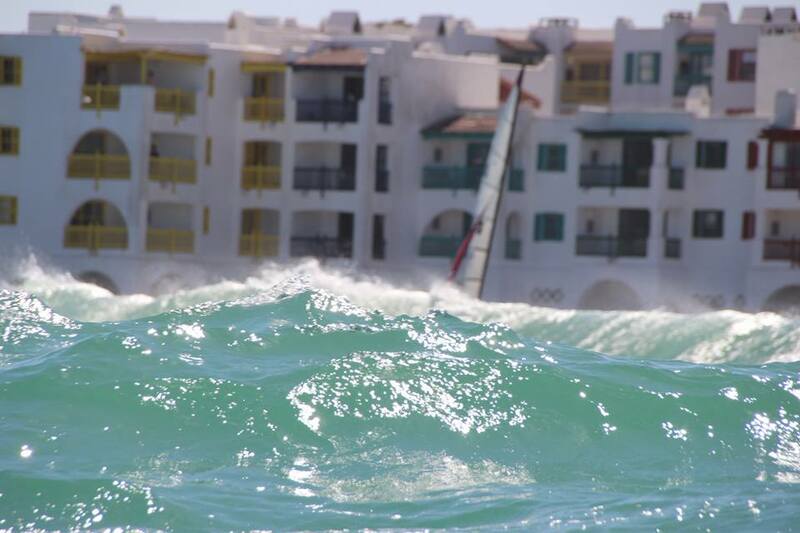 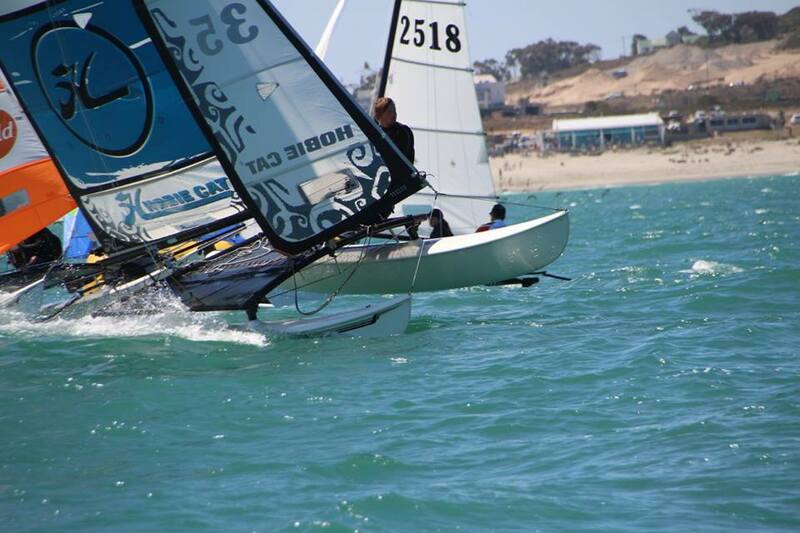 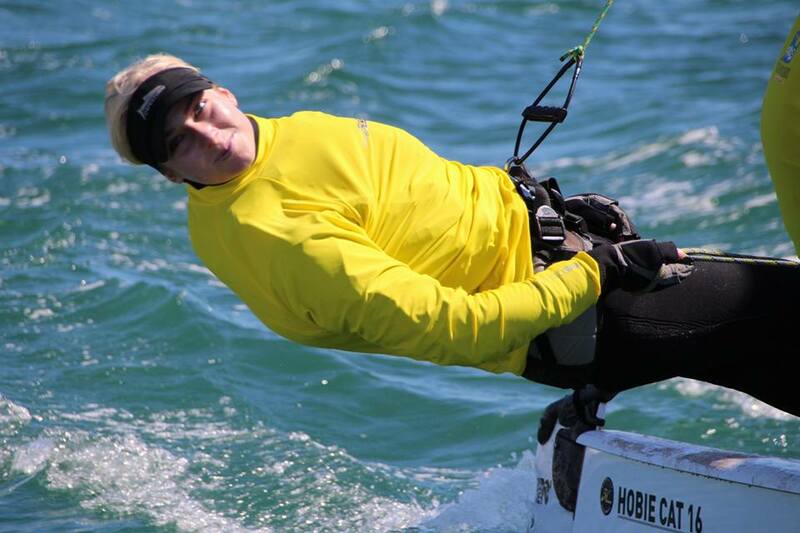 To keep the sailors busy after the 5 tough races they headed off to the ‘Hobie Legends Party’. 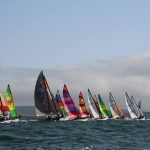 Where a few more stories were added after the days racing. 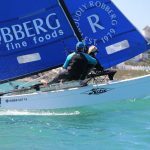 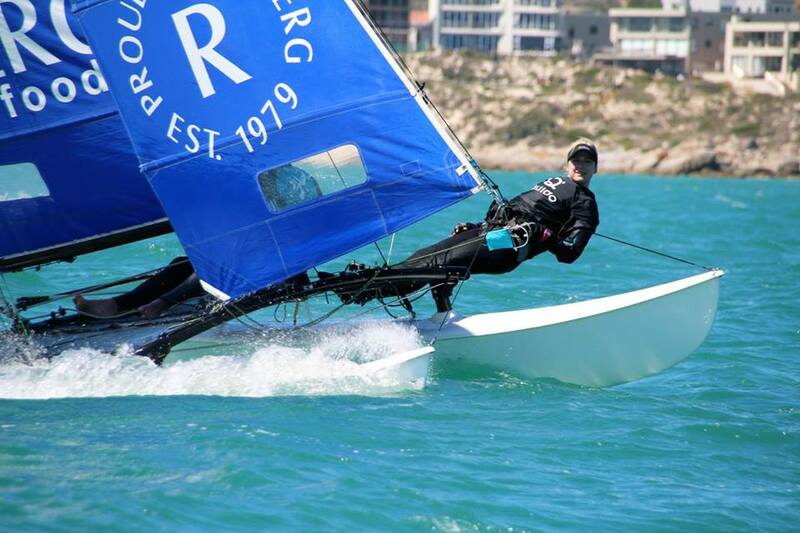 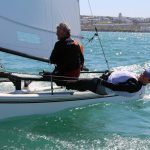 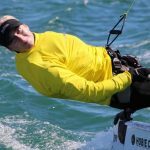 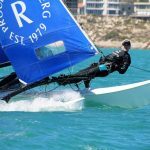 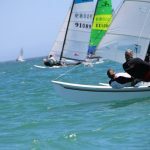 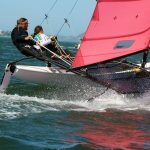 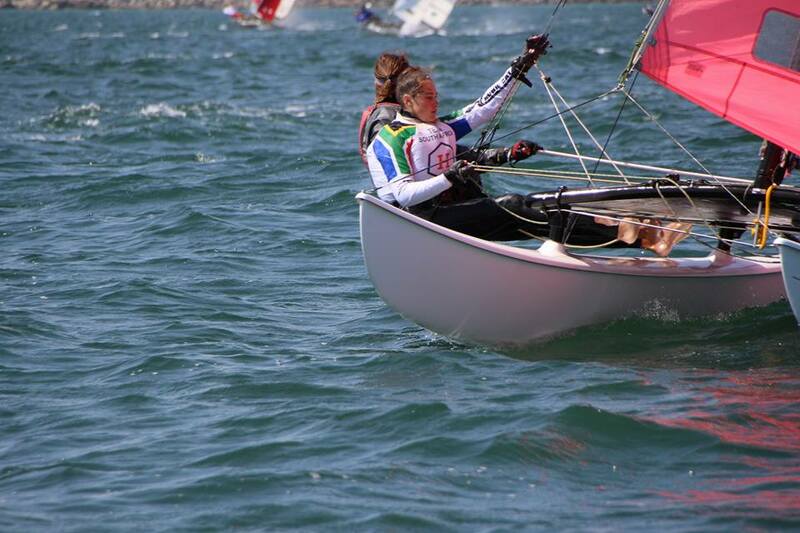 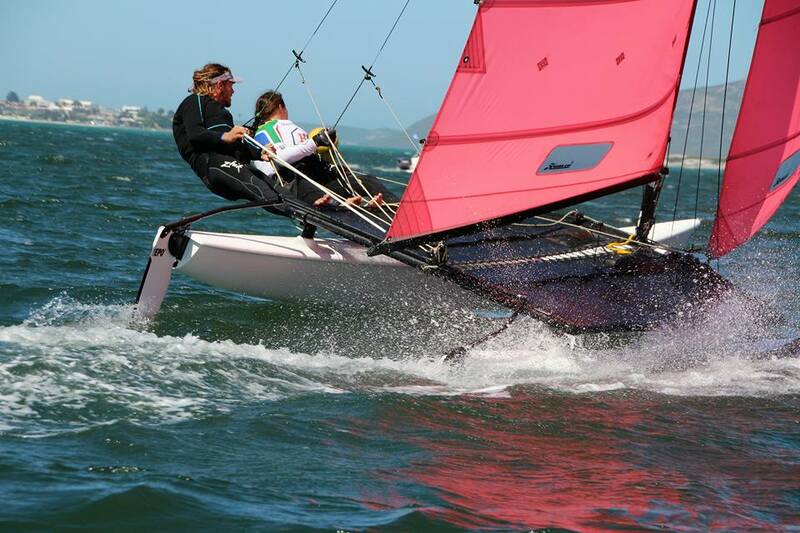 Blaine and Roxane Dodds are the over winners of the 2017 Hobie 16 South African Championships. 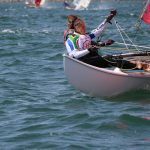 Sadly Roxanne broke her finger during the last race while coming to the mark.She is in agony but otherwise a very happy winner. 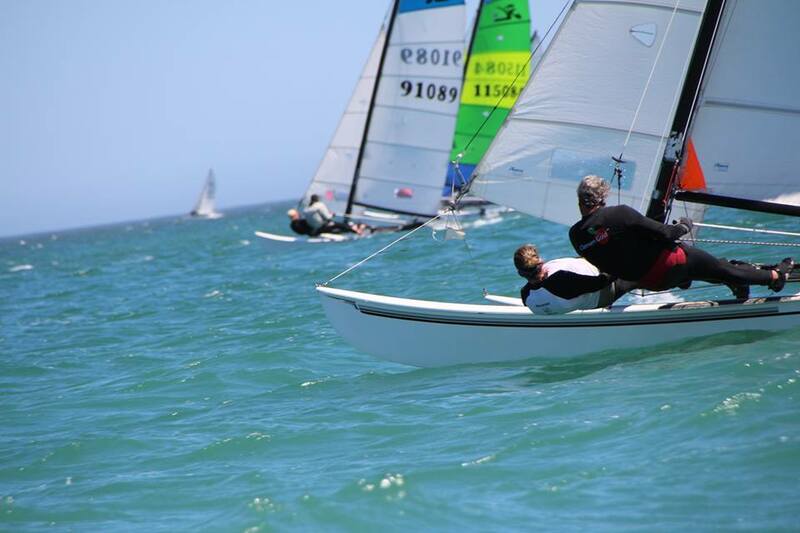 Blaine being first overall as well as first Grand Master. 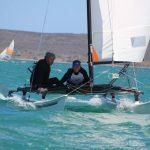 William and Lucinda took second as well as first Master and were each awarded a custom made t-shirt with the L flag on it, after a hysterical string of choice language when the ‘back to back’ flag was hoisted on the bridge boat for the 5th consecutive race on day 2. 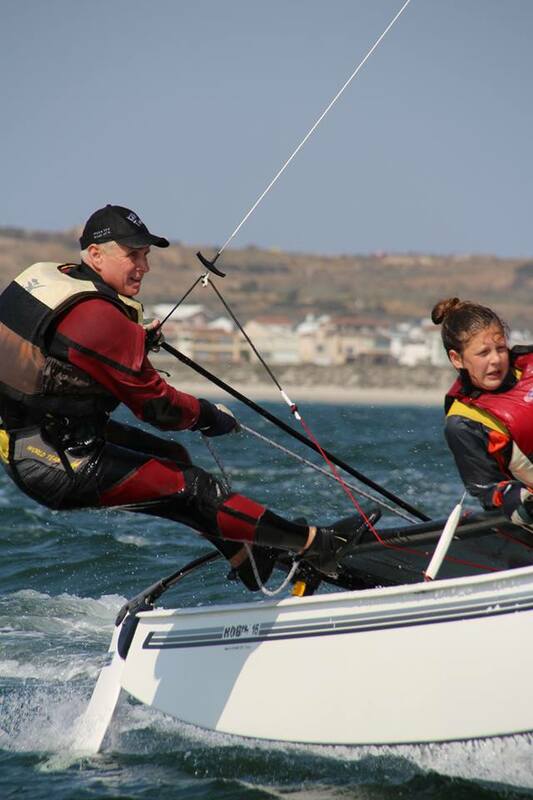 Klaas de Rooy, aged 73 and his daughter Linda, aged 39 – were our Double Grand Master team. 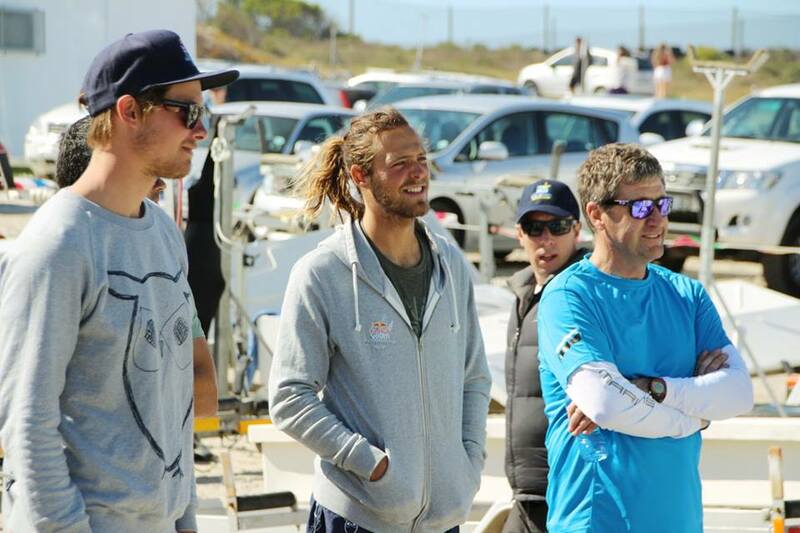 Klaas never misses an event and is out there for every race always. 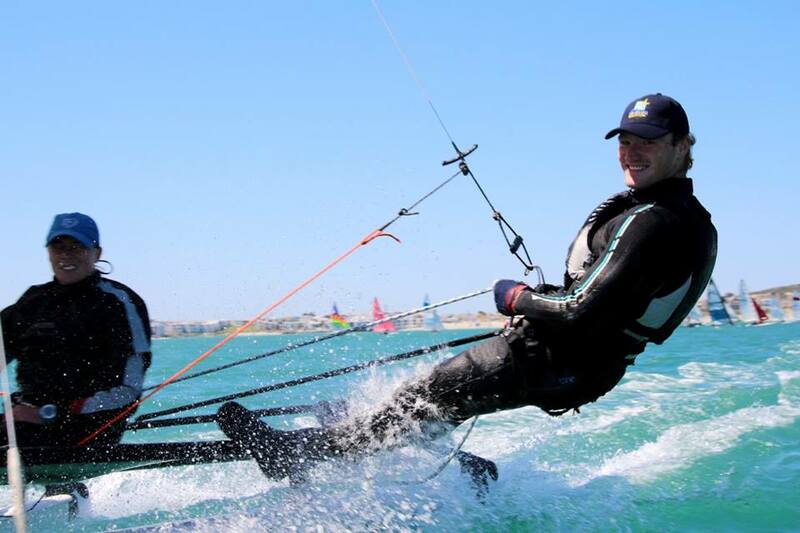 He is a real inspiration to everyone. 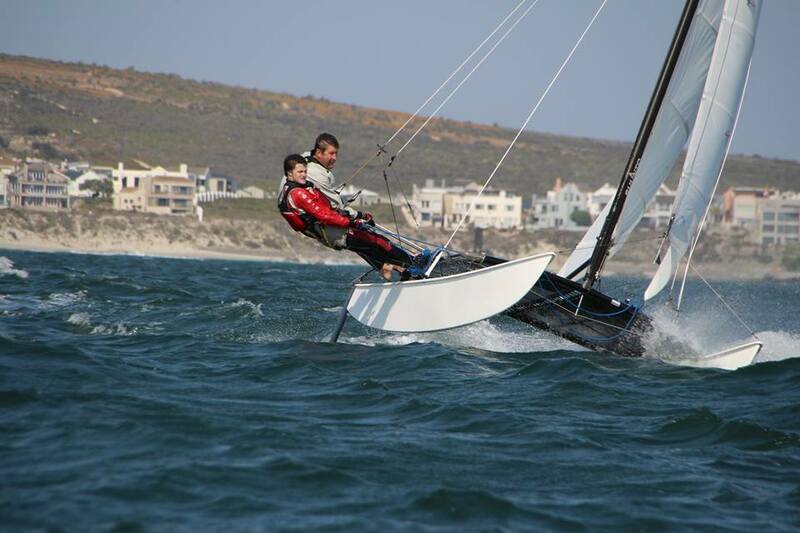 Our Junior team were Matthew Hall aged 13 and his crew who is 15. 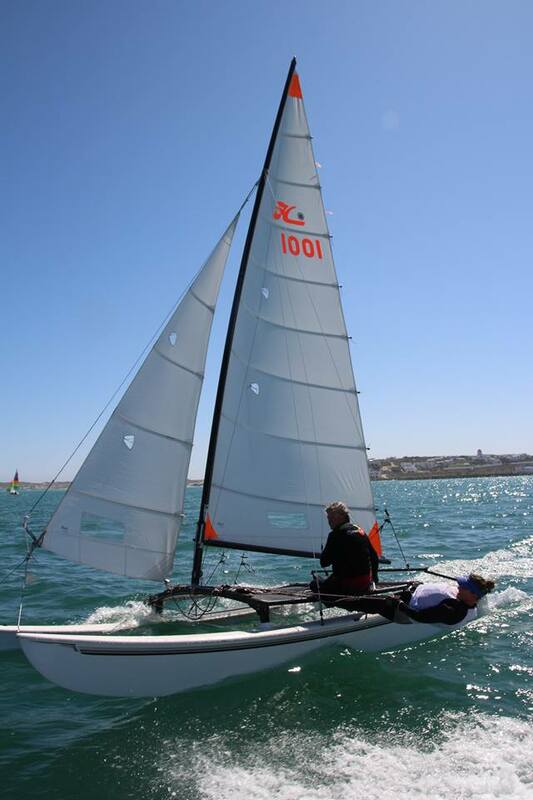 All in all, the range of sailors in age as well as experience, was superb. 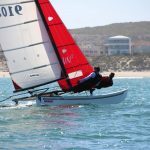 Matt Whitehead (former Dragoon World Champion) spent many hours in hospital with a suspected broken foot after a close encounter with another team. 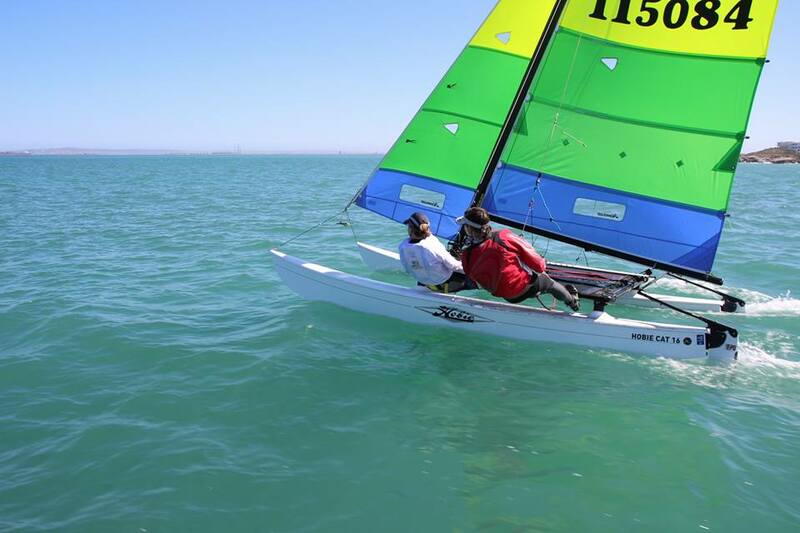 The rest of the fleet are sporting many raw fingers, sore muscles, bruised bodies and rickety joints. 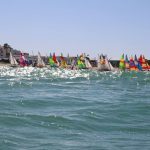 The wind did not let up since the start of racing on Saturday morning and all 12 races were tough leaving everyone exhausted at the end of each day.